A debtors’ prison for 150 years, visitors can see the with walls covered in prisoners’ graffiti. The museum houses a unique collection of weights and measures and a Tudor ceiling from Winchester College. There are great views of the city from the Westgate roof. A great attraction for children where they can try on a suit of armour or make an authentic brass rubbing (small fee charged). This Grade-1 listed building is not wheelchair accessible due to its age, and there is a considerably steep staircase from the street entrance. 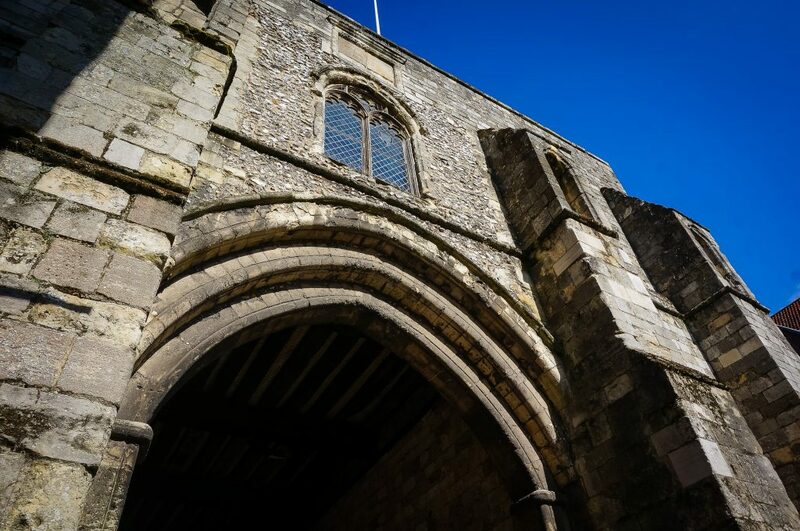 The Westgate Museum is operated and funded by Hampshire Cultural Trust. This independent charity champions world-class culture and exists to showcase, connect and empower Hampshire’s creative economy. Open weekends only after 31 August 2019.